KPD Asking for Assistance Identifying a Forgery Suspect. 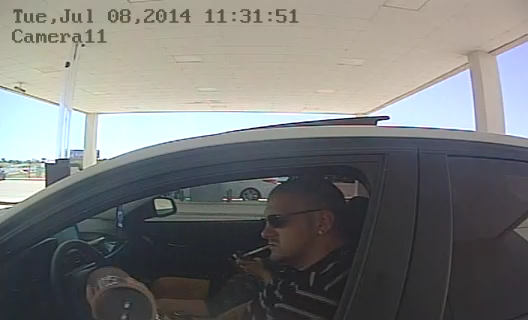 Killeen Police asking for assistance identifying a Forgery suspect. On Wednesday, February 3, 2016, Officers filed a Forgery report when the victim told them that an employee of Ace Cash Express contacted them after a woman attempted to cash a fraudulent check, from their business, at the Ace Cash Express in Killeen. The victim said that the check the woman used was not one of their company checks, the check number was not close to the number on the checks that the company uses, but it contained all the company information to include the bank routing number. The victim also said that this was not the only fraudulent check that had been passed; however unlike the one at Ace Cash Express that wasn’t cashed, the other one was cashed. Attached are photographs of a suspect have obtained by detectives during the course of the investigation. Detectives are asking anyone who has information about this Forgery suspect to contact Crime Stoppers at 254-526-TIPS (8477) or go online anonymously at www.bellcountycrimestoppers.com. You can also download the P3tips app for IOS or Android and give an anonymous tip. All information is anonymous and confidential. If your tip leads to the arrest of the suspects involved in this crime you could be eligible to receive a reward up to $1,000 in cash. Killeen Police are attempting to identify a forgery suspect. Officers filed a report on Friday, November 18, 2015, for a forgery that happened on Thursday, October 27, 2015. According to the victim, a female opened a fraudulent account with the 1st National Bank Texas using false identification. Immediately after opening the account the suspect cashed a forged check again using false identification. Detectives obtained photographs and asking anyone who can identify the suspect in the photographs, or may have information about this suspect to contact Crime Stoppers at 526-TIPS (8477), go online anonymously at www.bellcountycrimestoppers.com or text BELLCO along with the tip to 274637. Text HELP to 274637 for help with the tip or text STOP to 274637 to stop the tip. All information is confidential and anonymous and if your tip leads to the arrest of the suspect in this case you could be eligible to receive a reward up to $1,000 in cash. The Killeen Police Department is asking if anyone can identify this Debit Card Abuse Suspect. 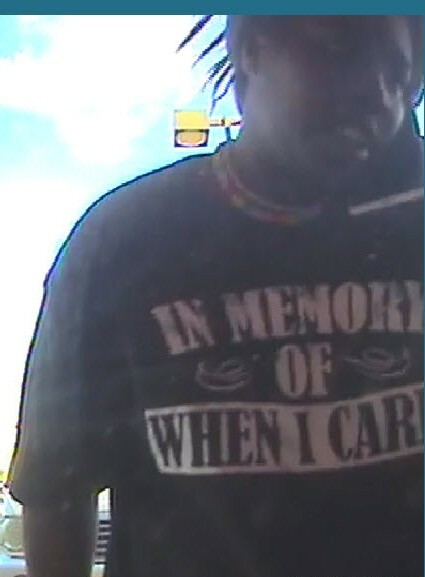 Detectives are looking for the male in this photo who used a stolen debit card to make purchases at a Wal-Mart and McDonalds Restaurant in Killeen on Saturday, July 25, 2015. The debit card was stolen from the victims’ vehicle sometime during the night on Friday, July 24, 2015. The suspect was last seen driving a 2012 black Ford Fusion with Texas License plates DT3Z763. 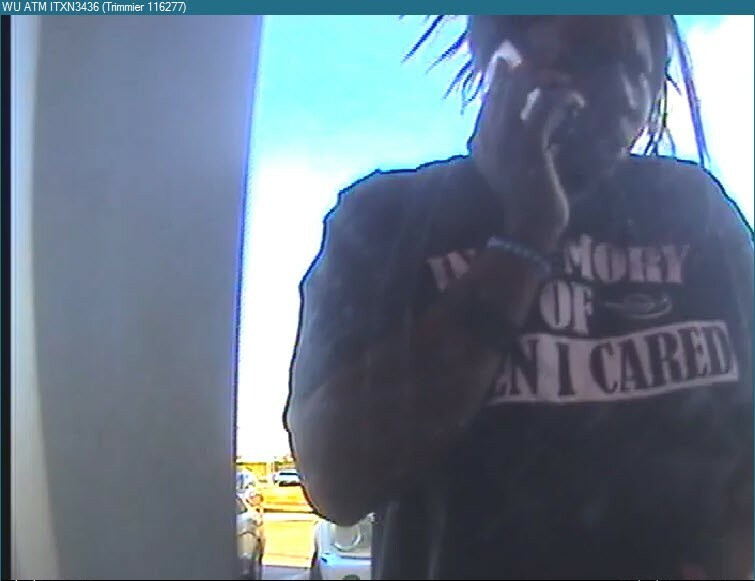 Detectives are asking anyone who can identify the male in the photo or has information about this Debit Card Abuse, to contact Crime Stoppers at 526-TIPS (8477) or go online anonymously at www.bellcountycrimestoppers.com or text BELLCO along with the tip to 274637. Text HELP to 274637 for help with the tip or text STOP to 274637 to stop the tip, message and data rates may apply. All information is confidential and anonymous, and if your tip leads to the identity and arrest of the suspect responsible for this crime, you could be eligible for a reward up to $1,000 in cash. 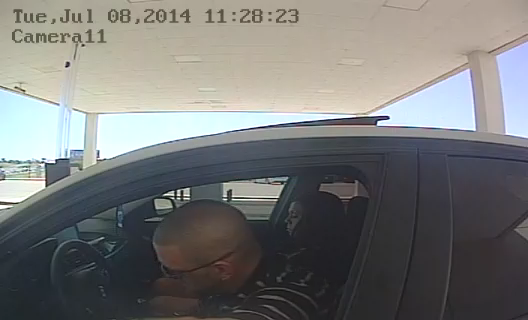 Killeen Police are asking for the community’s assistance identifying forgery suspect. 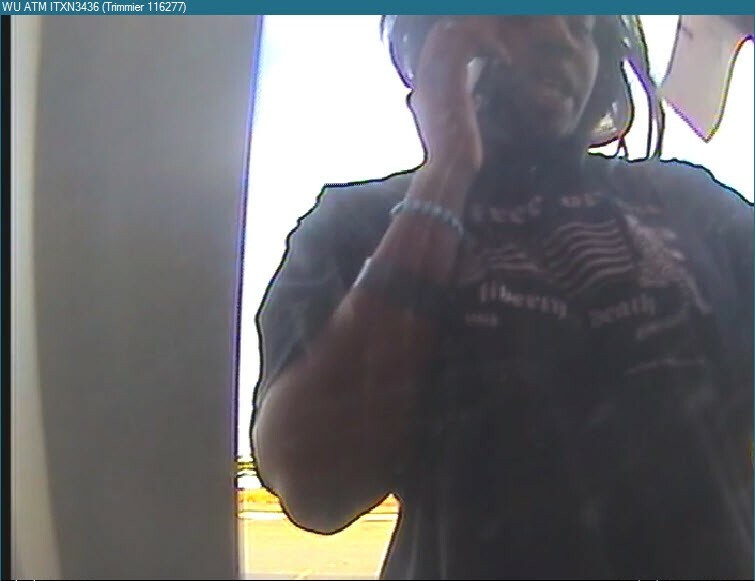 Detectives are investigating reports of fraudulent checks being deposited via an Automated Teller Machine (ATM) in Harker Heights on Monday, May 18, 2015 at 2:23 pm and Tuesday, May 19, 2015 at 5:06 pm. The suspect then used the money obtained from the fraudulent deposits at the Killeen Wal-Mart as well as various ATMs and merchants in the Harker Heights and Dallas areas. Detectives have provided photographs of the suspect. Detectives are asking anyone who can identify the suspect or has information about this incident to contact Crime Stoppers at 254-526-TIPS (8477), go online at www.bellcountycrimestoppers.com or text BELLCO along with their tip to 274637. Text HELP for help with the tip or text STOP to stop the tip, message and data rates may apply. All information is anonymous and confidential and if your tip results in the arrest of the suspect involved in this crime you could be eligible for a reward up to $1,000 in cash. Killeen Police are asking for the community’s help identifying a Forgery suspect. 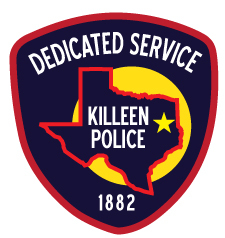 Officers filed a report on Friday, April 24, 2015 for forgery, after a citizen came in to the Killeen Police Department and told the officer that someone had stolen several blank checks and fraudulently cashed them in Killeen. The victims’ finical institution notified them after noticing a significant amount of unusual withdraws from their account. All of the checks were stolen from elderly victims residing in a local nursing home. Attached are photographs, obtained by detectives, of the forgery suspect. Killeen Police need assistance identifying a Forgery suspect. A representative from the First National Bank contacted the Killeen Police Department on Monday, December 1, 2014, to report that a female passed two forged checks. The reporting person stated that back in August of this year, the female suspect shown in this photo, cashed the forged checks and provided a fictitious account. Detectives are asking anyone who can identify the female in the photo or has information about this Forgery, to contact Crime Stoppers at 526-TIPS (8477) or go online anonymously at www.bellcountycrimestoppers.com or text BELLCO along with the tip to 274637. Text HELP to 274637 for help with the tip or text STOP to 274637 to stop the tip, message and data rates may apply. All information is confidential and anonymous, and if your tip leads to the identity and arrest of the suspect responsible for this crime, you could be eligible for a reward up to $1,000 in cash. Killeen Police are asking for the community’s assistance identifying a forgery suspect. Officers filed a report on Saturday, December 13, 2014, for forgery, after a citizen came in to the Killeen Police Department and told the officer that someone tried to deposit an unauthorized check into the their bank account. The citizen told the officer they lost their wallet somewhere in Killeen on Thursday, December 11, 2014 and noticed a problem with the bank account on Friday, December 12, 2014. Attached are photographs, obtained by detectives, of the forgery suspect and the vehicle, a white Chrysler 300, the suspect was driving. The Killeen Police Department is asking for the community’s help identifying a Forgery suspect. On October 3, 2014, a representative from the National Bank entered the police department and notified officers that a check that was issued by the Copperas Cove ISD had been altered. The representative advised the name on the check had been changed and the amount had been altered from $7,300 to $2,602. 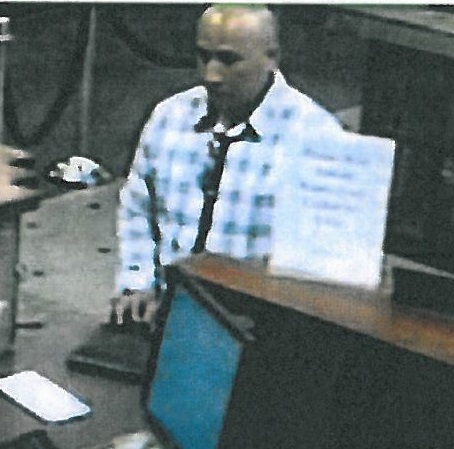 She advised that on October 1, 2014, a Hispanic male entered the bank and presented the check. The name on the check read Juan Francisco Adame, when the male was asked for identification he produced an ID that read Juan Adame. The check was cashed but later found to be forged by the suspect in the photograph. Detectives are asking anyone who can identify the male in the photo or has information about this Forgery, to contact Crime Stoppers at 526-TIPS (8477) or go online at anonymously at www.bellcountycrimestoppers.com or text BELLCO along with the tip to 274637. Text HELP to 274637 for help with the tip or text STOP to 274637 to stop the tip, message and data rates may apply. All information is confidential and anonymous and if your tip leads to the identity and arrest of the suspect responsible for this crime you could be eligible for a reward up to $1,000 in cash. The Killeen Police are asking for the community’s help identifying and locating two Forgery suspects. Killeen Police Detectives are working with other Texas Law Enforcement agencies to locate a male and female suspected of passing forged checks. The checks were reported stolen in vehicle burglaries that occurred in Dallas and Williamson Counties. The suspects were seen on video surveillance Tuesday, July 8, 2014 in Bell County, as well as Coryell and Williamson Counties, passing the forged checks. Detectives have attached photos of the suspects and they believe the female might be pregnant. The vehicle in the photo is possibly a newer model Kia or BMW that was either recently purchased or is being “test driven”. If anyone can identify these suspects they are asked to contact Crime Stoppers at 254-526-TIPS (8477) or go online at www.bellcountycrimestoppers.com or text BELLCO along with the tip to 274637. Text HELP for help to 274637 or STOP to stop to 274637. All information is confidential and you can remain anonymous. If you tip leads to the arrest of the suspect involved in this crime, you could be eligible for a reward up to $1000 in cash. Killeen Police needs the community’s assistance by identifying a Forgery suspect. Officers were notified of a Forgery that had occurred when the victim contacted the Killeen Police Department on Wednesday, December 11, 2013, telling them someone had stolen his checks and forged them. 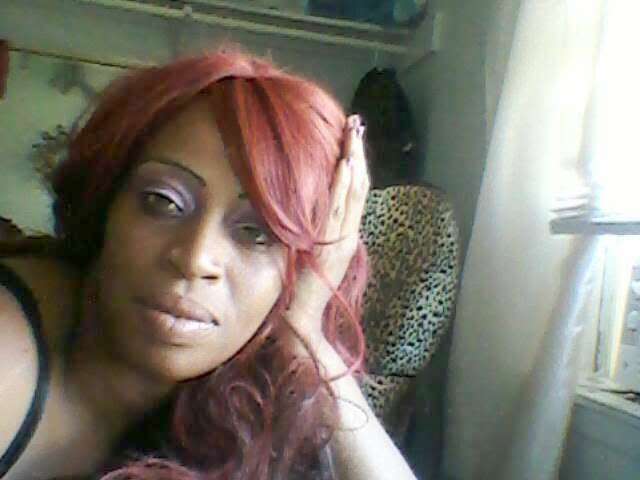 The victim told officers that he had a female known as “PG” over to his house on Saturday, November 30, 2013. He left the room for a few minutes and when he returned, the female had left. The victim was notified by his bank that several of his checks had been cashed at a local Ace Checks Express. The victim then found that several of his checks had been taken from his residence without his permission and his signature had been forged to cash the checks. 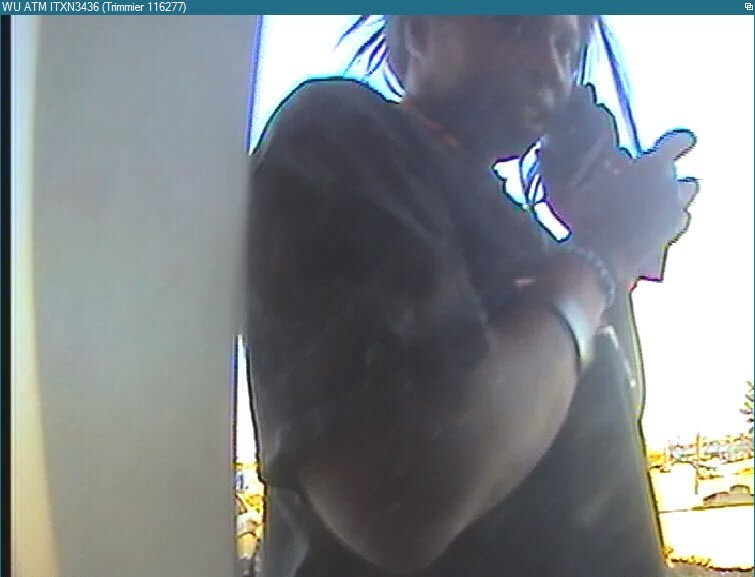 Detectives are asking anyone who can identify the female in this photo to contact Crime Stoppers at 526-TIPS (8477), go online anonymously at www.bellcountycrimestoppers.com or text BELLCO along with the tip to 274637. Text HELP for help with the tip, text STOP to stop the tip, message and data rates may apply. If your tip leads to the arrest of the person responsible for this crime you could be eligible for a reward up to $1,000 in cash.